President Trump and Ajit Pai, chairman of the Federal Communications Commission, announced several efforts to advance 5G adoption and expand broadband access in the U.S.
Trump said in his speech at the White House on Friday that the country will have 92 5G deployments by the end of 2019 and his administration will eliminate regulatory hurdles to facilitate network build-out projects. 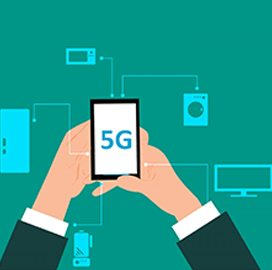 After the president’s speech, Pai unveiled the FCC’s 5G FAST Plan and discussed the strategy’s three components: free up more spectrum, promote 5G wireless infrastructure and update regulations. He said the commission will offer 3,400 megahertz of spectrum in three different bands at its third 5G spectrum auction beginning Dec. 10. The FCC also formed the Rural Digital Opportunity Fund to invest $20.4 billion in high-speed broadband networks in the next 10 years to provide up to 4 million rural households and small businesses access to such networks.